Regarding the issue of Narconon’s efforts to be accepted to provide presentations, courses, seminars, education or treatment in association with the San Francisco or Los Angeles School systems, or in association with any entity, it is obviously necessary to understand what it is Narconon, as a piece of the Scientology organization, teaches, and what it is trying with its actions and teachings to achieve. An essential piece of what Narconon is teaching, and which governs its actions, as directed by Scientology, both the organization and the “philosophy,” is a concept known as the “Suppressive Person” doctrine. I have not seen in the media coverage that I have read that the doctrine has been discussed in connection with the issue of Narconon in the schools; but the “Suppressive Person” doctrine is key, and indispensable to making an informed evaluation. Scientology creator L. Ron Hubbard taught and Scientology teaches that SPs are a class of human beings making up 2½ percent of the planetary population, and that this class or type of being is responsible for all illness, accidents, any bad condition. Scientology teaches that these people are completely evil and irredeemable, “truly dangerous,” committing crime continuously, “psychotic,” and deserving of no civil rights. There is no argument that these historical villains were not villainous, nor that nasty, even evil personalities do not exist in the world and that many aren’t undetected. The problem with the Scientologists’ Suppressive Person doctrine, as they still teach and enforce it, Hubbard having died in 1986, is that people whom Scientology, and its components, are declaring to be “SPs” and “enemies,” evil and insane, are decent people who simply oppose or even criticize any of this global cult’s policies, practices or claims. Hubbard wrote, and the Scientologists still teach, that every critic of Scientology is a “criminal,” and is to be treated as a criminal. In another infamous “scripture,” which has been entered into evidence and condemned in a number of judicial proceedings, Hubbard spelled out the treatment for SPs, often termed the “Fair Game” policy. Since the Scientology enterprise has a number of policies and practices that are opprobrious, and since the organization’s significant claims of results for its “technology” and its intentions are false, there is much about Scientology that good people with a brain and a heart should criticize. Scientology’s endlessly repeated claim that its “technology” raises IQ, even claiming “about one point per hour,” something educators would be attracted by, is completely false, and should be criticized by everyone as the fraud it is. Viewing critics of these criticism-worthy policies, practices and claims as “Suppressive Persons,” and subjecting these people to fair game and the threat of fair game, is opportunistic, irrational and dangerous, with no basis in science, truth or humanity. What Scientologists, including, unquestionably, Narconon’s Scientologists, do with and in Scientology necessarily encompasses the teaching, executing and living of the Suppressive Person doctrine. 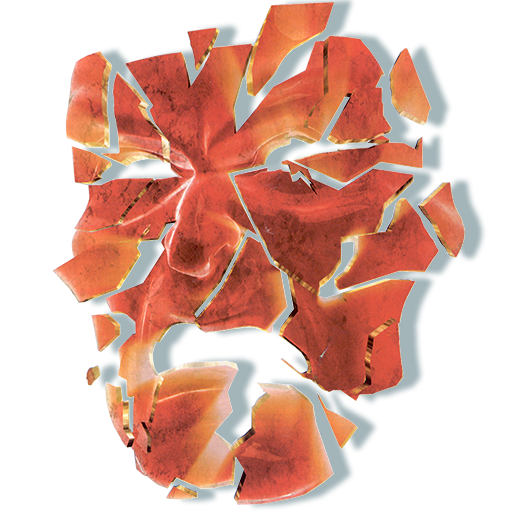 Scientology’s solution for the SPs, who are simply and demonstrably good people who speak up about the organization’s antisocial policies and practices and fraudulent claims, is to “shatter” them. Scientology teaches that it possesses a “technology,” indeed the “only workable technology,” to identify SPs and shatter them, and sells courses in this “technology” to all Scientologists. The Narconon arm of Scientology also sells and delivers courses in this “technology” to its customers, and seeks to indoctrinate them in the basics of the Suppressive Person doctrine to create in their minds the “reality” that the doctrine requires. The June 9 San Francisco Chronicle reveals that the Suppressive Person doctrine is being taught in at least three courses on “Narconon’s 9 steps” program. “THE UPS AND DOWNS IN LIFE COURSE gives the student the ability to spot and handle those influences in his environment that would cause him to lose any gains he has made. THE PERSONAL VALUES AND INTEGRITY COURSE gives the student the data he needs to improve his survival potential. It teaches the student the eight survival dynamics, gives him invaluable knowledge about personal ethics, honesty and integrity and shows him how to correct contra-survival behavior by ridding himself of past harmful deeds. THE NARCONON CHANGING CONDITIONS OF LIFE COURSE gives the student the exact step-by-step technology he needs to improve his life. Hubbard’s Suppressive Person doctrine states that “ups and downs in life,” which Scientology also commonly calls “roller-coastering,” is caused by the person who is “losing his gains” being connected to a Suppressive Person. The SP doctrine identifies such a person connected to an SP as a “Potential Trouble Source” or “PTS,” because the PTS person is “going to make trouble” for Scientology. Being “connected” to a Suppressive Person makes a PTS person subject to Scientology’s infamous practice of “Disconnection,” which has been used to break up countless families. Scientologists are taught that disconnecting from the SP, severing all ties, will end the PTS person’s going up and down and getting ill, and allow him to continuing with Scientology’s program. “It is a SUPPRESSIVE ACT to deal with a Declared SUPPRESSIVE PERSON […] To maintain a line with, offer support to, or in any way grant credence to such a person indicates nothing more than agreement with that person’s destructive intentions and acts. The “anti-social personality” that a person is taught to spot by “characteristics” on Narconon’s “Ups and Downs in Life Course,” is the “Suppressive Person.” The characteristics for identifying SPs in Narconon are identical to what all other Scientologists in all other parts of Scientology use to identify SPs. The criticisms of Scientology policies and practices that will result in a person being declared an SP in Narconon are the same as the criticisms that will cause a person to be declared an SP in the rest of Scientology. The “counter-intention” to Scientology’s intentions, operations and communications, the organization teaches, comes from “Suppressive Persons,” who must be removed from the environment. “We must ourselves fight on a basis of total attrition of the enemy. So never get reasonable about him. Just go all the way in and obliterate him. The prize is “public opinion” where press is concerned. The only safe public opinion to head for is they love us and are in a frenzy of hate against the enemy, this means standard wartime propaganda is what one is doing, complete with atrocity, war crimes trials, the lot. Know the mores of your public opinion, what they hate. That’s the enemy. What they love. That’s you. Scientology teaches that “there is no more ethical group on this planet” than themselves, and the organization claims that for this reason it has an undeniable right to impose its system of “ethics” on mankind. In truth, Scientology’s Suppressive Person doctrine, and the fair game to execute it, make Scientology an extremely unethical organization. The “ethical level” of Scientology and Narconon can be established by observing their response to criticism of their policies and practices: they will not reason with their critics, the SPs, but will only attack. Scientology’s “logic” for its Suppressive Person doctrine is syllogistic, circular, and so ridiculous and also dangerous that it cries out for criticism. Scientology teaches that Hubbard’s knowledge and system, and the organization’s personnel, the Scientologists, including the Narconon Scientologists, applying that knowledge within that system are mankind’s only hope, that Scientology is the only “technology” that “works” to make people better, to clear the planet of dishonesty, crime, wars and insanity. 2 ½ percent of the population, Hubbard and Scientology teach, can’t stand the idea of people getting better, and “going free,” but want to keep people suppressed, ill and enslaved. Hubbard and his organization teach that these are the Suppressive Persons, who oppose and criticize Scientology’s policies, practices or philosophy because Scientology works. That people whom Scientology declares to be SPs oppose and criticize the organization’s policies, practices or philosophy also serves to “prove” to Scientologists that their “technology” works. Since the “tech” works, and is mankind’s only hope, Scientology also teaches, the criticisms of people should not be addressed, but the critics, being SPs and criminal, should be attacked as hard as the law will allow, and then some, and obliterated. People outside of Scientology are only just beginning to understand the Suppressive Person doctrine, even though numbers of individuals have known about organization abuses and criminal activities for five decades, and several of these individuals have made this knowledge available in readable scholarly books or studies. It may be that the irrationality and extreme hatefulness of the doctrine have impeded information diffusion, because it is hard and disconcerting to confront. Certainly Scientology, by threatening knowledgeable expositors with the doctrine and its execution that the expositors would expose, has actively sought to prevent this information from being disseminated and assimilated. I believe, however, that the SP doctrine inevitably will enter the public consciousness, that society will reject it, and that the apparent “gains” obtained by doing what Hubbard said to do, even if it apparently got some people off drugs, will be seen as not only non-existent but ill-gotten. Scientology has for as long as it has taught and enforced the SP doctrine ducked discussion of the doctrine with the claim that such would be an improper questioning of religion, of religious beliefs and religious practices. The organization has made Hubbard’s “policies” and “directives” that lay out the SP doctrine and its terms and definitions; SP, PTS, fair game, ethics, counter-intention, etc., into “religious scripture.” Narconon’s insistence that the Scientology “technology” it is teaching is “secular,” in order to gain admittance into the secular school systems, and other secular systems, permits the Suppressive Person doctrine to be publicly investigated without in any way questioning what Scientology claims is “religious” doctrine. There is a certain attractiveness to being a fighter in a war, the goal of which is nothing less than total control in a world without war, crime and insanity, and there is a seductiveness in having a group or class of person to vilify, to blame for all the personal and societal “bad conditions” in the way of that goal, and to fair game. There is as well the obvious advantage of the Scientology side actually having an army to join, actually having battle tactics and battle plans, well financed, and with sophisticated, professional mercenary companies of lawyers, private investigators, public relations agents, intelligence operatives in addition to their own troops, and a regiment of celebrities. The Suppressive Persons have no army, and no celebrities, and have never organized to fight back. It is quite clear that if a person becomes devoted to pursuing the goals Scientology gives him he will quit doing drugs, if he was doing them, since Scientology will require that to continue pursuing Scientology goals he could not do drugs. It is equally clear that persons who began to devote themselves to any number of other pursuits, whether these required abstinence such as the military or prison, or not, will also quit drugs. The question then becomes, does any school system wish, or even have a right, put any of its students in a setting where they are vulnerable to Scientologists getting them to pursue Scientology’s goals, which includes the acceptance and application of the Suppressive Person doctrine? Understanding Hubbard’s, Scientology’s and Narconon’s “science” about drugs that their organization teaches is important, and understanding the Scientologists’ actual intentions underlying their drug “science” and their “humanitarianism” is equally important. Every person on any school board, or anywhere, who is counter-intention to Scientology’s intention to be accepted in schools, or anywhere, needs to know what they are up against. Every such opposition and every criticism provides adequate motivation to Scientology’s leaders to declare the opponent or critics an enemy and suppressive. Every SP welcomes your criticisms of anything to do with Scientology. Every criticism shows a defect in the Suppressive Person doctrine. Enough criticism and all society will see that the whole doctrine is defective, and it will cease creating victims. In these days of “cold war” when actual warfare is impossible due to atomic weapons, the warfare is waged in the press and public in the form of ideas. The enemy uses ” groups” and meetings of groups like one would use squads. If we and they are considered as two hostile and opposing nations at war, then a huge array of tactics and strategy become visible. One parallels in the field of thought what is used and done in the field of battle in other ages. You don’t have to know too much about the tactics and strategy of warfare to apply this but it helps. But there are also wars of attrition. We are engaged in one where total destruction of us has been the enemy’s aim for, at this writing, 19 years. This is barbarian warfare, thus the enemy must have had very positive fears and terrors about us. Since he fought for total attrition. In this case it is not safe to hope for any half-way win. We must ourselves fight on the basis of total attrition of the enemy. So never get reasonable about him. Just go all the way in and obliterate him. A good general expends the maximum of enemy troops and the minimum of his own. He makes the war costly to the enemy, not to himself. Copyright (c) 1969 by L. Ron Hubbard. One cuts off enemy communications, funds, connections. He deprives the enemy of political advantages, connections and power. He takes over enemy territory. He raids and harasses. All on a thought plane – press, public opinion, governments, etc. Seeing it as a battle, one can apply battle tactics to thought actions. Intelligence identifies targets and finds out enemy plans and purposes, enemy connections, dispositions, etc. It is fatal to attack a wrong enemy. But it is good tactics to make the enemy attack wrong targets or persons himself. Good intelligence pinpoints who when where what. Good PRO plans an action and operations fights the battle. Legal is a slow if often final battle arena. It eventually comes down to legal in the end. If intelligence and PRO have done well, then legal gets an easy win. You can win a battle even without legal and by PRO alone. You intend to win it without legal wherever possible. Always be ready to parley but watch for tricks. Don’t give the enemy breathing space. Capture and use his comm lines. A press magnate on your side is a big win. You have in one of these publicity wars all the factors of modern wars complete with artillery, cavalry, infantry. For example at this writing, all fighting has been on our terrain; they knew our generals we didn’t know theirs; they had all the press, funds, government control. We are reversing this. We are fighting now on their ground. But we have a long way to go. We will make it all the way providing we look on this in terms of active battle and not as a “if we are saintly good we will win.” The people who win wars have a saintly image but they win the war by clever and forceful use of the rules of tactics, strategy and battle. The cold war is a war. The West is losing it because it is fighting by other rules than the rules of war. We mustn’t lose it. Hubbard, L. R., (1969, 16 February). Battle Tactics. (Hubbard Communications Office Policy Letter). Important Note: We have webbed both Hubbard’s original Policy Letter “Battle Tactics” of February 16, 1969 and the reissued version of September 24, 1987 in their entirety for purposes of comparison by students and scholars, as proof of Scientology as a hate group at war with good people for over thirty-four years, and as a warning to everyone of the cult’s malevolent intent. The two documents show a categorical continuity between the nature and actions Hubbard postulated for Scientology and Scientologists during his Guardian Office period and the nature and actions Miscavige requires of the cultists in this, his RTC-OSA era. We believe that the organized beastification of good people is a crime against humanity. We believe that the obliteration of people, which “ Battle Tactics” clearly orders, is impossible without violence, indeed without murder. The order to get public opinion “in a frenzy of hate against the enemy” — by which Hubbard, Miscavige and Scientologists mean hate against the good people who oppose their criminality — demonstrates beyond any doubt that Scientology is a hate group. This document states emphatically that Scientologists are to consider themselves at war with the good people they make their “enemies,” and are to employ battle tactics in all dealings with these good people. We believe that the good people who are the Scientologists’ targets for hate, beastification, war and obliteration have an absolute right to know the information contained in this document, and that such knowledge cannot be denied them by Scientology’s application of commercial copyright law. We believe that anyone considering becoming involved with the Scientology cult as a customer, employee or agent has a right to know that he or she is becoming involved with a hate group at war with good people, and should think very seriously about the consequences of any involvement. We believe that all Scientologists have a right to know that they are being whipped into a frenzy of hatred by their cult’s leaders, that whether they have known it or not they are at war with good people, and that their labor supports, and their fees buy, the beastification and obliteration of those good people.